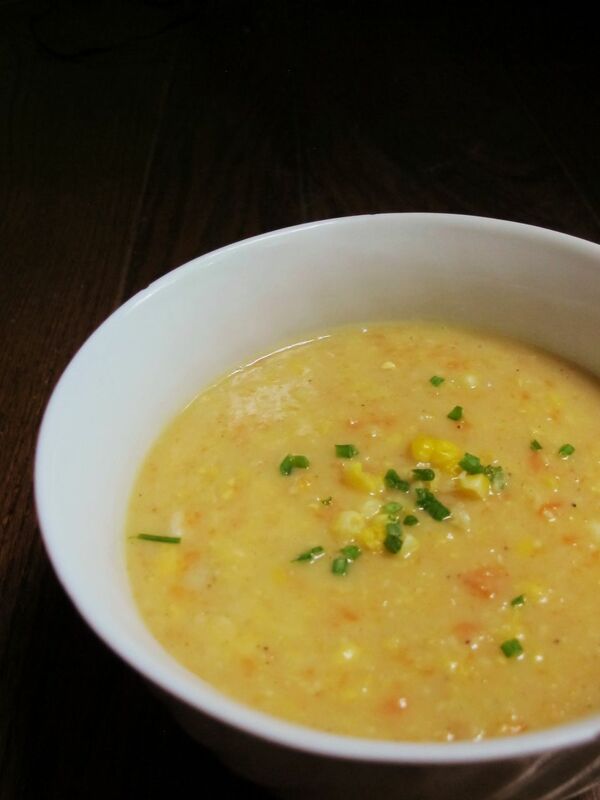 Corn chowder is an American classic. Sweet corn and savory bacon are combined with onions, vegetables, herbs, and potatoes to create a hearty chowder that is a meal in itself. This dish brings out a great, complex flavor that is easy to prepare and doesn't cost a lot. Heat a 4-quart heavy pot over low heat and add the diced bacon. Once it has rendered a few tablespoons of fat, increase the heat to medium and cook until the bacon is crisp and golden brown. Pour off all but 1 tablespoon of the bacon fat, leaving the bacon in the pot. Add the butter, onion, leeks, bell pepper, thyme, and cumin and saute, stirring occasionally until the onion and bell pepper is soft. Add the corn, potatoes, and stock. Bring to a boil and cook for about 10 minutes until the potatoes are soft. Use a spoon to mash some of the potatoes and corn against the side of the pot. Reduce the heat to medium and stir in the slurry of cornstarch and water. Return to a boil and cook until the chowder thickens slightly. Stir in the heavy cream just before serving.